The Cedar/Beaver Watershed covers an area of 5800 square miles. This watershed is surrounded by the Tusher, Circleville, and Cedar Mountains to the east and the Mineral Mountains to the west. Elevationranges from 12,100 feet to 4,600 feet. On average, the watershed receives about 10 to 13 inches of precipitation per year. Major water use for this basin include agriculture, irrigation, municipal uses,wildlife, and some recreation. 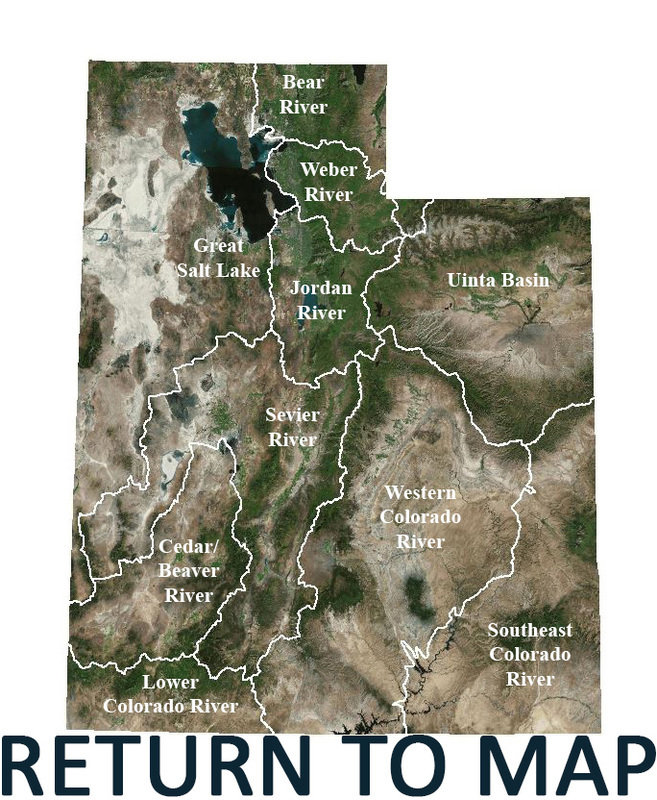 Major water bodies for this watershed include: Beaver River, Coal Creek, Shoal Creek, Pinto Creek, Parowan Creek, Red Creek, Newcastle Reservoir, Upper Enterprise Reservoir,and Puffer Lake. Water quality issues include sediment, total phosphorus, nitrogen loading and erosion.